MAJOR CABLE NETWORK TV SHOW CASTING! 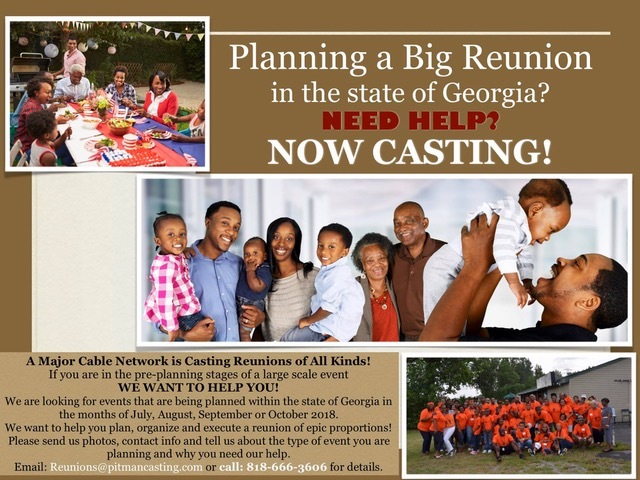 Is your family having a large scale event in the state of Georgia (like a family reunion, anniversary or birthday party)? Our professional event planner and his team want to help you plan, organize and execute a reunion of epic proportions! or email reunions@pitmancasting.com for more info!